Looking for a chinstrap with the protection and toughness of a hard cup but the comfort of a soft cup to go along with your Revolution Helmet? 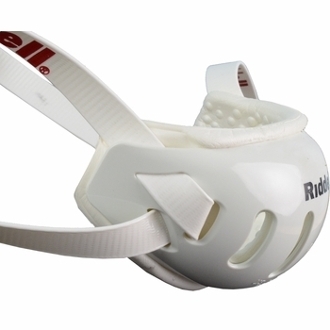 The Riddell Mid/High Hook-Up Hard Cup Football Helmet Chinstrap is here to put an end to your search. This chinstrap takes a soft padded cup and puts it inside a hard polycarbonate shell. It’s the best of both worlds.